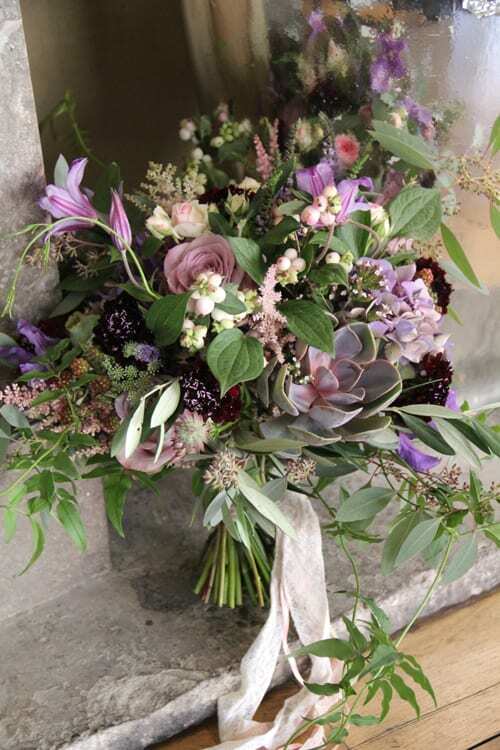 It’s Florist Friday and today I’m thrilled to feature an interview with Katherine Craft of Florist in the Forest. 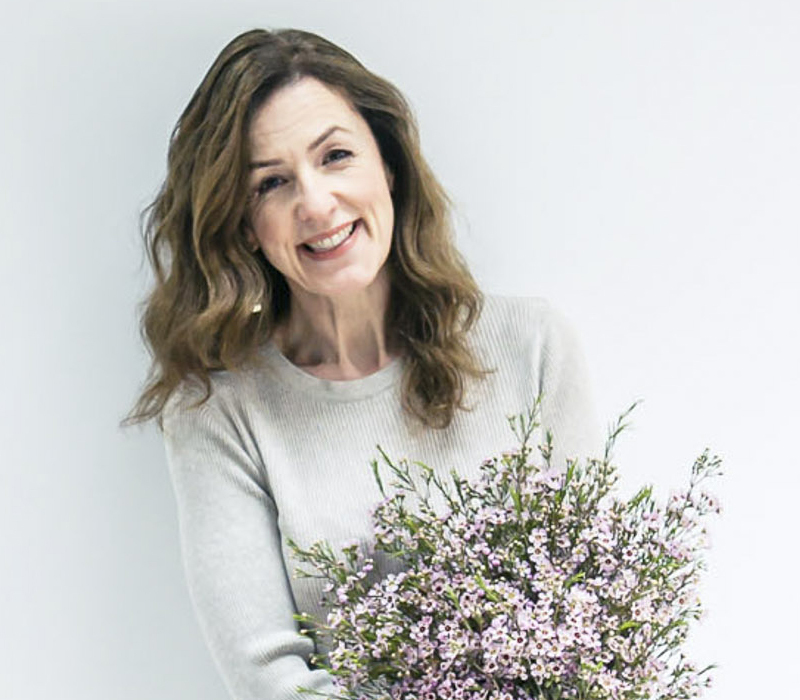 Having spent some years working in the fashion industry as a visual merchandiser, and having enjoyed the creative element of that role, I decided to re-train as a florist. Both of my parents are keen gardeners and a love of plants and flowers was instilled in me from a very young age. 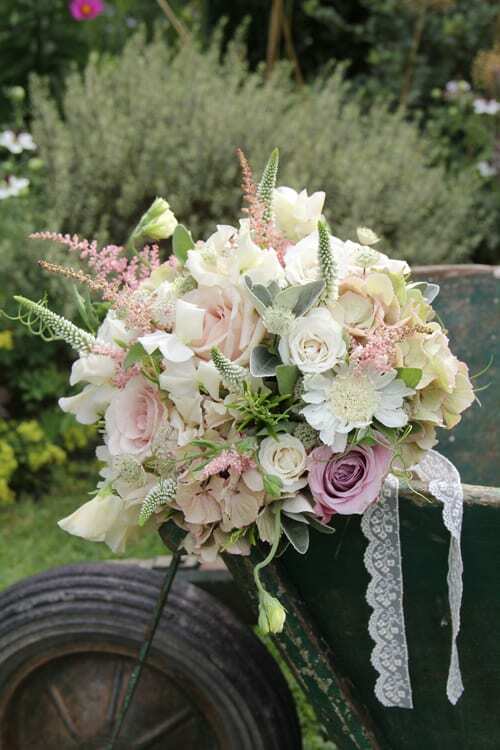 So, to become a florist was a natural progression and now I not only enjoy the creative aspect of my work, but also working with the flowers, including growing some varieties in my own cutting garden. I attended Hadlow College and did my placement at a local florist, where I then stayed for a few years. While there, I began to build up my own work on the side and eventually got to a point where I decided to take the plunge and start Florist in the Forest full time. That was back in December 2011. 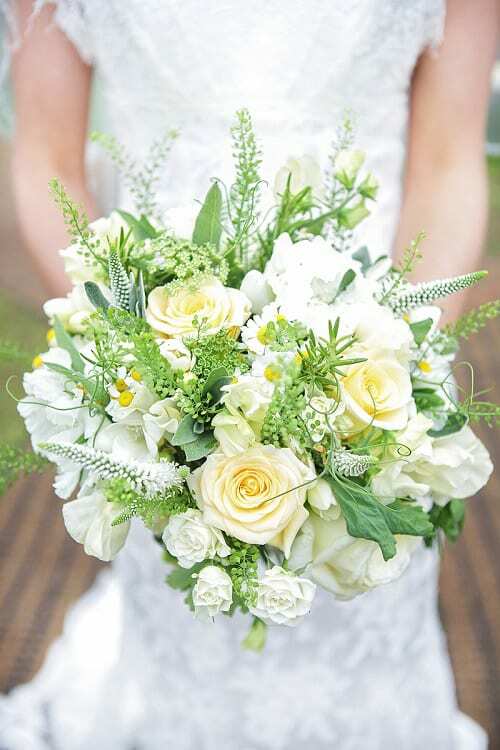 In 2012, I was nominated for the Hitched.co.uk Breakthrough Awards and in December 2013, I won the Best Florist category for London and the South East at The Wedding Industry Awards. 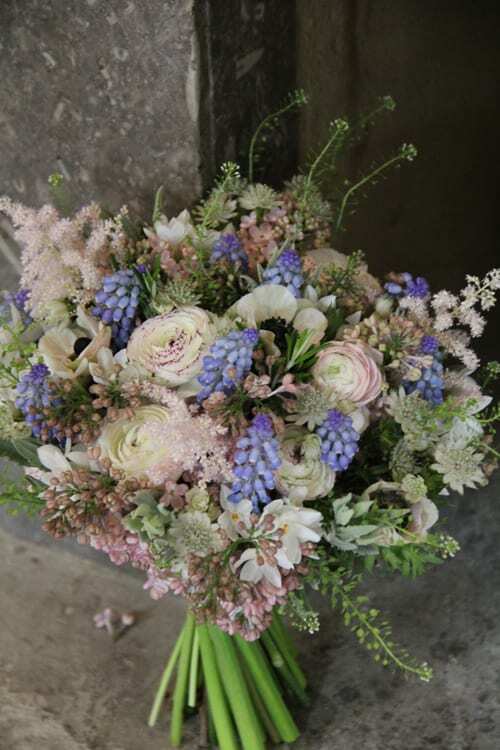 I decided against being a shop-based florist and instead I work from my studio in the forest, which is just outside Tunbridge Wells in Kent. This has enabled me to really focus on weddings without the commitments of a shop. 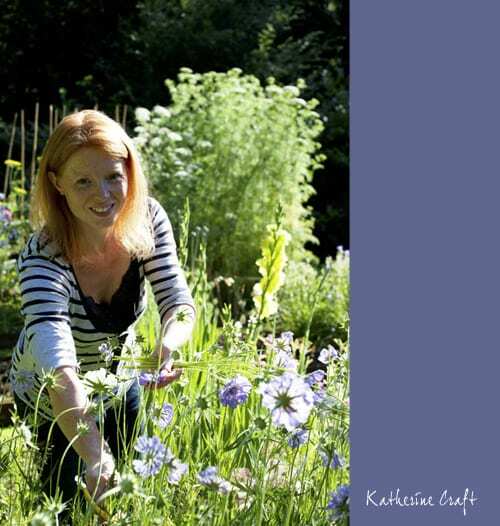 I’ve also been able to develop a small cutting garden adjacent to my studio where I grow a number of my favourite cottage garden flowers and herbs. 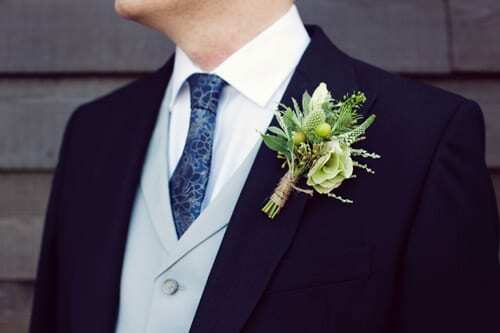 My main focus is wedding work but I also work on other events, provide contracts for businesses and private individuals, and undertake funeral work. Valentine’s Day, Mother’s Day and Christmas are also always manic periods but are also hugely enjoyable! My style is very natural and a lot of my inspiration is drawn from nature and the countryside around me. If you imagine warm summer days, golden fields and gardens full of summer blooms, this is the feel that I strive for in my work…nothing too stiff. My work is more organic than that of a traditional florist and I also try to take advantage of using seasonal flowers where I can. Working in this way gives my designs a variety in texture, form, colour and scent. 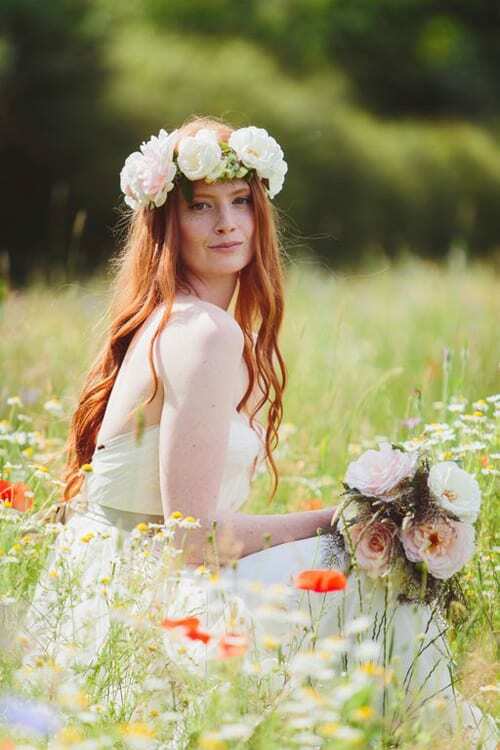 I also find inspiration from abroad, especially America where I love the work of some amazing florists…Sarah Ryhanen of Saipua, Ariella Chezar, Erin Benzakein of Floret to name a few…there are plenty more! 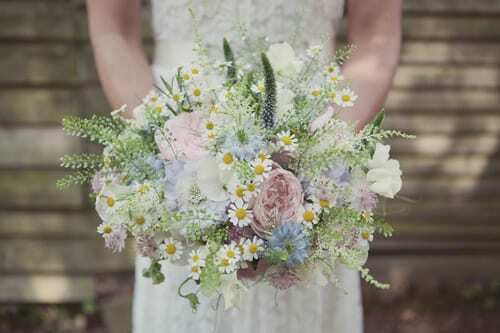 I love to create soft, natural and romantic designs allowing the flowers to do the talking, combining lots of different flowers and textures in my work, as well as jasmine, grasses and wispy sweet pea tendrils to add movement to arrangements. 2013 was an incredible year and I can’t quite believe how quickly the business has grown. 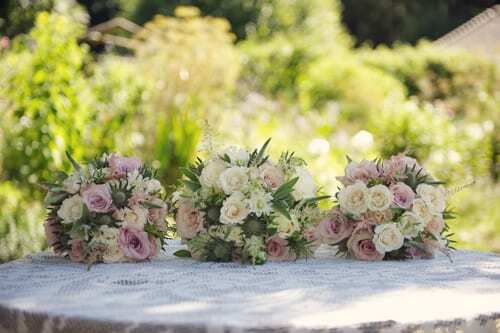 The start of this year has been extremely busy with enquiries and consultations for 2014 and 2015…so lots more exciting and beautiful weddings are in the pipeline. That’s a tricky one as there are just too many and my favourite changes with each season! 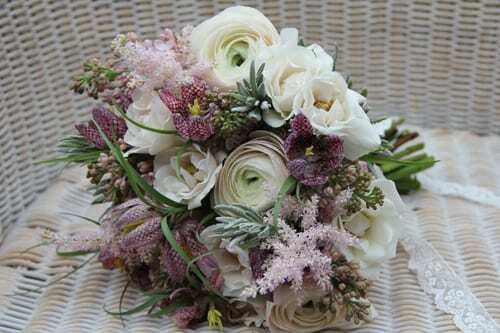 Winter and spring I love ranunculus, anemones, hellebores, lilac, muscari and totally adore fritillaries. 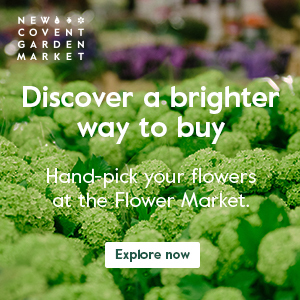 Then come summer, I can’t get enough of peonies, garden roses, nigella, astilbe, scabious, clematis and of course a mass of sweet peas…the list goes on. But if you had to twist my arm, it would be sweet peas. But don’t forget the herbs! 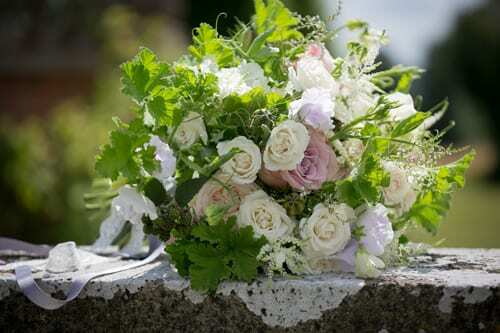 Flowering mint, lemon balm and scented pelargoniums all add amazing scent to bouquets. As you can see, I can’t pick one…I just love them all!! Thank you so much to Katherine for all her help in compiling today’s blog post. 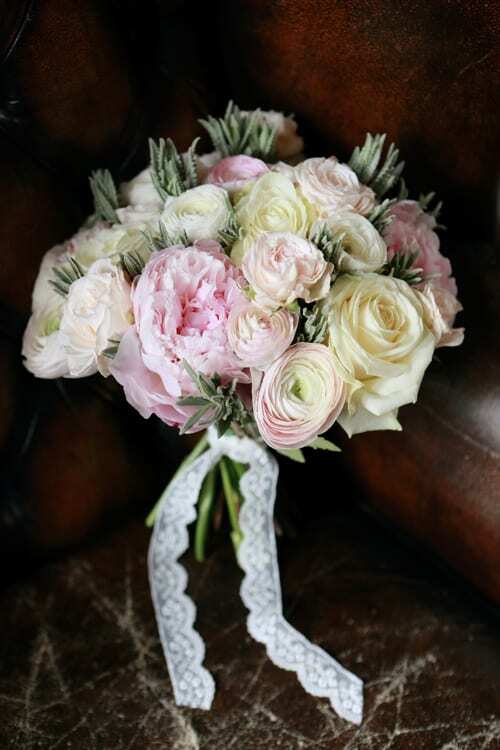 To see more of her designs, please visit the Florist in the Forest website. Such beautiful compositions! Thank you for sharing this interview.